Whew! This post was a long time coming and pretty time-consuming to draft! But I’m really excited to bring you a holiday gift guide for kids to inspire creativity! All kids love toys, we know this, but I love when a toy becomes an experience and a learning opportunity, rather than five minutes of fun and then tossed into a toy bin. So I rounded up a bunch of fun, creative gifts for this Christmas to get your kids’ creative juices running! They’re even gifts that are super fun for parents! The best part is that everything here is $50 and under with several retailers offering additional savings and free shipping! Scroll on to read more about each item, and as an added bonus, I put a couple of guides for BLACK FRIDAY at the end of the post for three of my favorite sales for clothing items! Old Navy and GAP are offering 50% off your entire order and Nordstrom has some great deals on Ugg and Hunter boots! I planned a few other fashion-related gift guides, but I eventually decided to just feature a few favorite items in this post. Play-Doh Super Color 24pk • $14.99 – What kid doesn’t love Play-doh?! My kids are obsessed, even though the OCD artist in me hates it when they mix colors! I thought this was a great deal for 24 tubs! Play-Doh Fun Tub • $10.49 – I’m not a huge fan of all of the specialized Play-doh playset. I much prefer the old school tools like cookie and cutters, etc, so I love this bucket of items to help them create their masterpieces. Alex ALEX Jr. Tots Finger Paint Party • Alex • $23.99 – My kids are actually pretty good with paint and paintbrushes, even Arlo at just age 2, but this adorable paint can full of finger paints and tools is awesome and is great for any kid and gives them the chance to get a little messy! Beginner Baking Set Suitcase • ON SALE for $12.49 – I just couldn’t resist including this baking set! It’s so cute and perfect for any little baker! My kids love to help out in the kitchen and would love their own set of tools. Lark LOVES stamping! Arlo does too, but I had Lark in mind with these, especially because she’s learning so much about the alphabet and putting words together lately. Every little artist needs a cute little art smock for all those messy works of art! I loved how bright and colorful these ones are! Mini Monster Scented Neon Markers • ON SALE for $2.49 – I love these little monster markers! So adorable and fun! Perfect for little hands! Paint Your Own Tea Set • ON SALE for $6.49 – This little tea set is so cute! I love that kids can add their own design. Just bake it to set and have endless tea parties! I’ve talked about these Water Wow books SO many times! My kids are obsessed with them and there’s no mess involved, since they’re just water, so they are great for travel and taking along for entertainment! I thought we had them all, but I see a few new styles I’m going to have to pick up! Star WarsTM Thumb Doodles • Star Wars • $14.99 – This was Arlo-inspired! He adores Star Wars and thumbprint drawings are always so fun and creative! Kinoptik City Magnetic Tile 123 Piece Building Kit • World Market • $25.99 – These magnetic building tiles are so fun! Build your own little city again and again by just moving around the tiles on the magnetic board! Toy Guitar • World Market • $19.99 – I’ll be honest, I have ZERO musical talent…but my kids LOVE music! We got Lark a ukulele last year and I’ve yet to learn a single chord! But I love the idea of them learning traditional guitar as well! B. H2-Whoa! – Water Drawing Board • $27.99 – Another “no mess” option with this water drawing board! Plus you don’t need extra paper, because you just create and start over again with this reusable drawing board. I have dreams of a big art room for my kids, and in it would be these tabletop paper rolls for the kids to just draw for hours! Musical Instrument Set • ON SALE for $14.99 – This little music set is just too cute and colorful! Help your kids create the soundtrack to their little lives! Elmer’s Galaxy Slime Starter Pack • $9.99 – Slime is a big thing lately and I love the Elmer’s slime kits! Everything you need to make some gross fun for your kids! Faber-Castell Art & Craft Kit Subscription for Kids • Faber-Castell • $14.99 – Last, but not least, the coolest subscription box ever (and I LOVE subscription boxes)! For $14.99 a month, you can get a box full of craft goodies delivered every month! Each month is a different project and I think this is a great gift! Those are my favorite creative gifts this season! Items from Target, Bed Bath & Beyond and World Market…all great options for shopping and each has black Friday and holiday deals. At Target, if you spend $50 you get a 20% off coupon for a future purchase and a large selection of toys are buy one, get one 50% off! World Market has TON of their toys on sale, plus free shipping on $100 or more. Bed Bath and Beyond has several item-specific black Friday deals, but also has free shipping on every order! There’s no way I could have rounded up all of the black Friday sales, there’s just not enough time in my day! But I did round up my favorites from my favorite stores to shop for my kids, Old Navy and GAP. Both are offering 50% off every order this entire weekend! 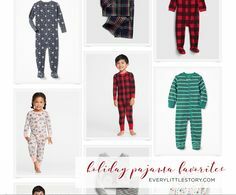 So I picked a few faves for girls and boys, and also included a few from Nordstrom because they have several Ugg and Hunter boots marked WAY down for all members of the family! Boots always make a great gift, especially when you can get such awesome brands at lower prices! I hope you enjoyed this gift guide and found a few ideas for Christmas gifts! It was so fun to put together and I love bringing creativity into my kid’s lives! I hope your gift shopping is fun and fast…we still have a long way to go over here!